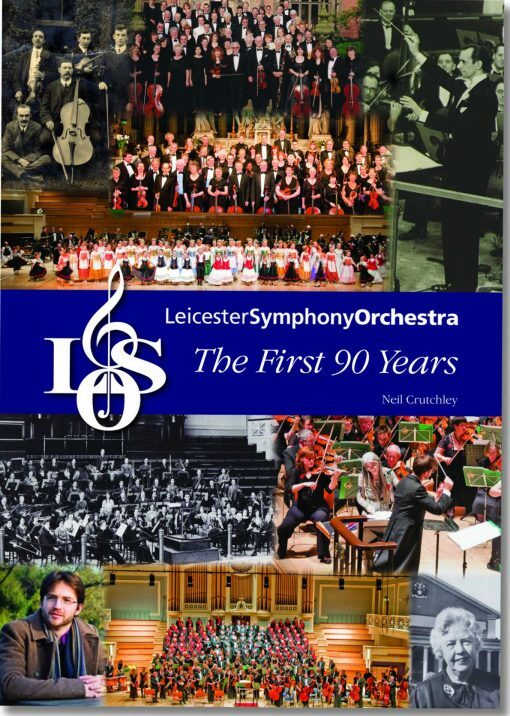 The LSO was founded in 1922 by Malcolm Sargent and this book by Neil Crutchley celebrates the orchestra's first 90 years. Neil first came to an LSO concert as a school boy in 1967 and has since contributed hundreds of articles and reviews of LSO concerts to the Leicester Mercury over the years. There are nearly 150 high quality illustrations, mostly from the LSO archive, showing a wealth of photos, programmes, brochures and posters. It is a story that deserves to be told. In short, a great read. The LSO was founded in 1922 by Malcolm Sargent and this book by Neil Crutchley celebrates the orchestra’s first 90 years. Neil first came to an LSO concert as a school boy in 1967 and has since contributed hundreds of articles and reviews of LSO concerts to the Leicester Mercury over the years. There are nearly 150 high quality illustrations, mostly from the LSO archive, showing a wealth of photos, programmes, brochures and posters. It is a story that deserves to be told. In short, a great read. The book was published on 1 May 2013, cost £5. Post & packaging is free within UK, £5 outside UK – please allow 14 days for delivery. Please provide your name, a contact phone number and delivery address, together with a cheque made payable to Leicester Symphony Orchestra.